Researchers with Counter Threat Unit at SecureWorks continues to monitor the Bronze Butler cyberespionage group (aka Tick). According to the experts, the group is linked to the People’s Republic of China and is focused on exfiltrating confidential data. “BRONZE BUTLER’s operations suggest a long-standing intent to exfiltrate intellectual property and other confidential data from Japanese organizations. Intrusions observed by CTU™ researchers indicate a focus on networks involved in critical infrastructure, heavy industry, manufacturing, and international relations.” states the analysis published by SecureWorks. SecureWorks detailed TTPs of the Bronze Butler group, the hackers used spearphishing, strategic web compromises (SWCs) in their targeted attacks and leveraged zero-day exploit to compromise targeted systems. The threat actor used to maintain access to compromised environments and periodically revisiting them to exfiltrate further data. “BRONZE BUTLER uses spearphishing emails and SWCs to compromise target networks, often leveraging Flash. The group has used phishing emails with Flash animation attachments to download and execute Daserf malware, and has also leveraged Flash exploits for SWC attacks.” continues the analysis. Experts observed Bronze Butler leveraging an Adobe Flash zero-day vulnerability (CVE-2016-7836) in a popular Japanese corporate desktop management tool called SKYSEA Client View. Experts highlighted the ability of the group in discovering a zero-day flaw in a software used in a certain region. 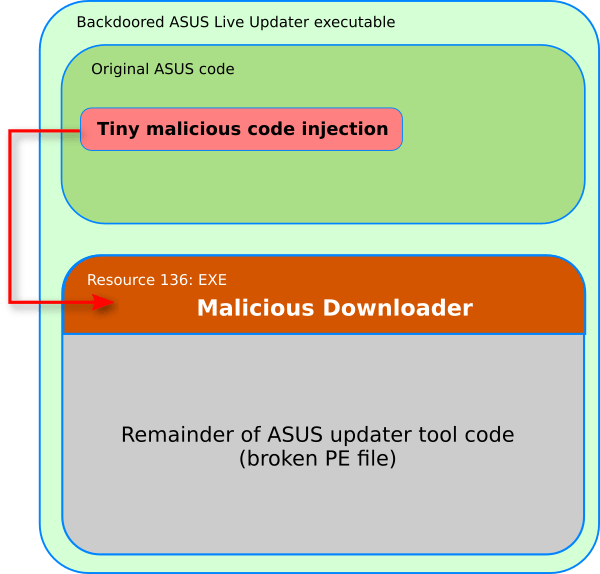 The researchers documented one of the malware in the arsenal of the group, the Daserf backdoor that allows gaining full control over the compromised system. Bronze Butler developed two versions of the tool over time, in 2016, the hackers shifted from using Daserf to two remote access trojans (RATS) called xxmm and Datper. The following image shows some of the proprietary tools used by the group between 2012 and 2017. Analyzing the intent of the group, the researchers concluded the group may be tasked by multiple teams or organizations. “The focus on intellectual property, product details, and corporate information suggests that the group seeks information that they believe might be of value to competing organizations. The diverse targeting suggests that BRONZE BUTLER may be tasked by multiple teams or organizations with varying priorities.” concluded the report. Bronze Butler is still active and must be considered a very capable gang.